Firestarter's Blog: S.H. Figuarts Rider Shooter Set For March 2014 Release? S.H. Figuarts Rider Shooter Set For March 2014 Release? After our initial report on the magazine scan revealing the S.H. 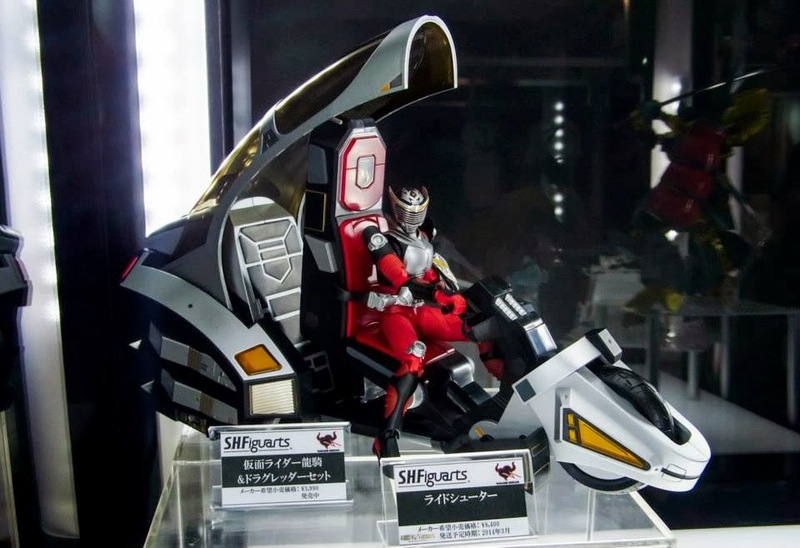 Figuarts Ride Shooter, another image appeared on display and it seems we have a price and release date. It is slightly clear that the S.H. Figuarts Ride Shooter will be released this March 2014 for 8,400 yen and possibly a Tamashii Web Exclusive. The S.H. Figuarts Ride Shooter represents the primary method of getting to the Mirror World and to know the precise location of the Mirror Monsters in Kamen Rider Ryuki. More details will be posted soon.